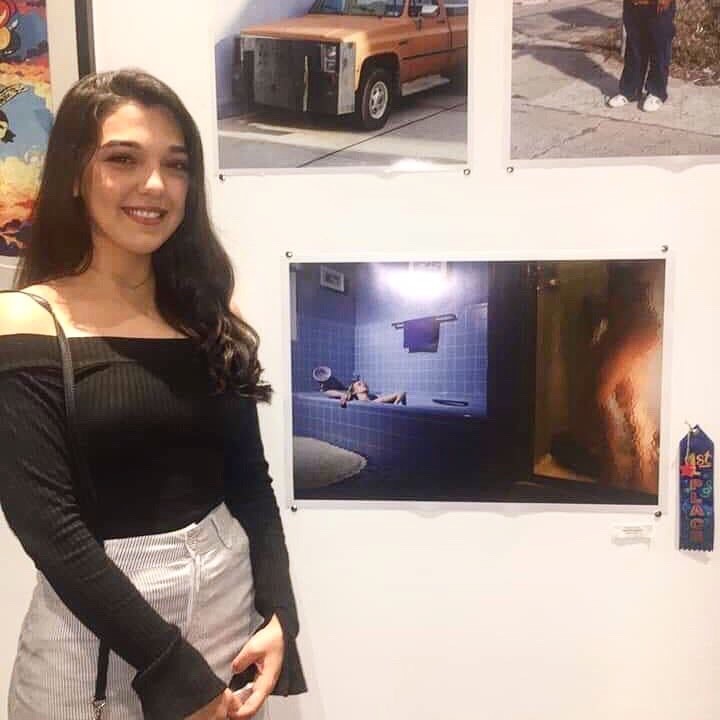 According to TRAC president, senior studio art major and third place winner Allison Dempsey, the event’s success can be attributed to Rowan’s growing enthusiasm for the visual arts. Perhaps one reason for the increased interest was the panel of jurors, all of whom have post-college experience in the field of professional art. Cook (class of 2016) is currently an art educator at Highland Regional High School; Vicente (class of 2016) holds the title of Art Director at The Perception; and Visentin (class of 2017) takes graphic design client work specializing in branding and logo design. 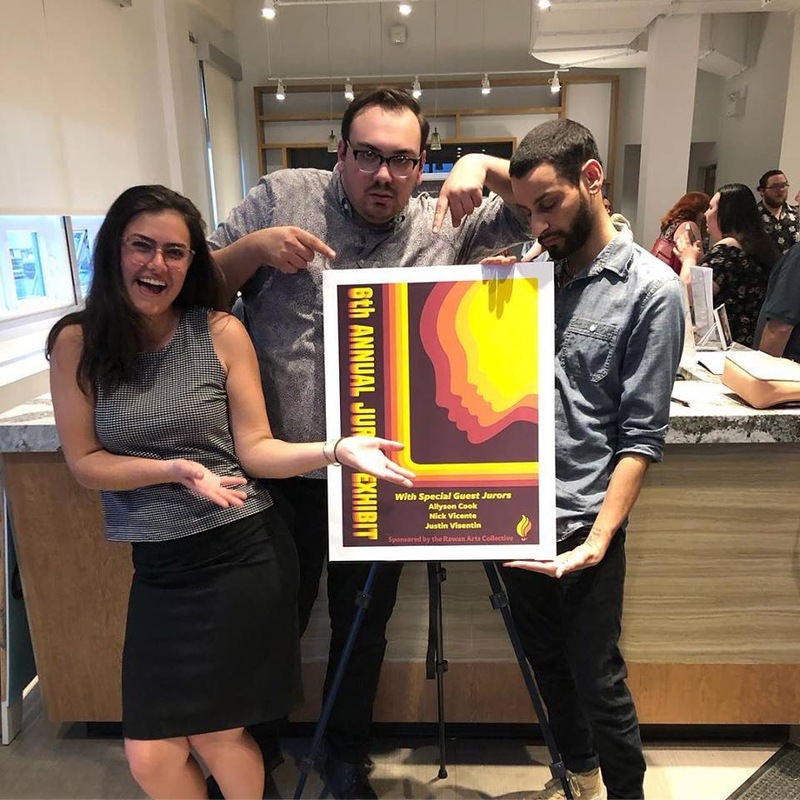 From left to right: TRAC alumni Allyson Cook, Justin Visentin and Nick Vicente juried TRAC’s exhibition on Monday, April 8. She also believes that this growing participation is indicative of a trend not only among art majors, but among all students who enjoy or find comfort engaging in art. “Hopefully events like this help encourage non-art majors to take more art classes and electives in the future,” Dempsey said.